Nutanix are the revolutionary, global leader in delivering an Enterprise Cloud that makes datacentre infrastructure invisible. Their web-scale platform goes beyond hyperconvergence, enabling IT to focus on the applications and services that power their business. 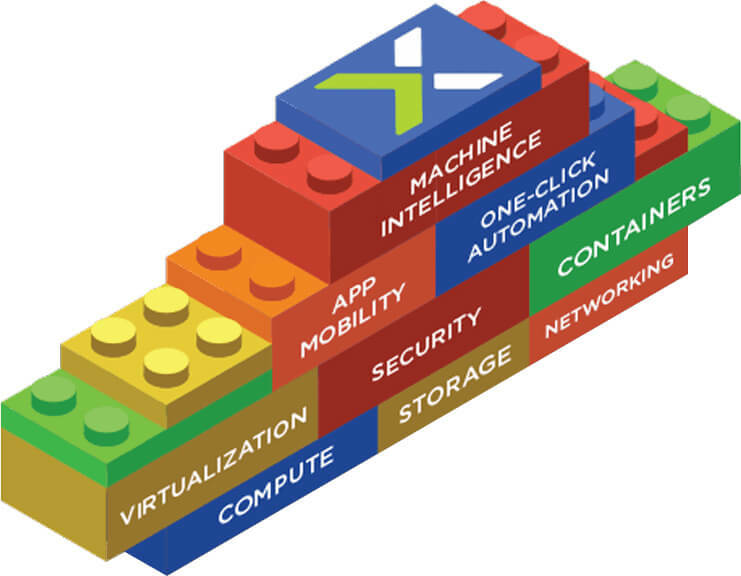 Nutanix delivers a software-defined enterprise cloud that can run any application at any scale. From its foundations in hyperconverged infrastructure, the Nutanix Enterprise Cloud Platform uniquely delivers the agility and simplicity of public cloud to your datacentre. The hyperconverged platform integrates server, storage, virtualisation and networking, removing the complexity of legacy infrastructure. This can be deployed as a turnkey appliance or as a software on leading servers. 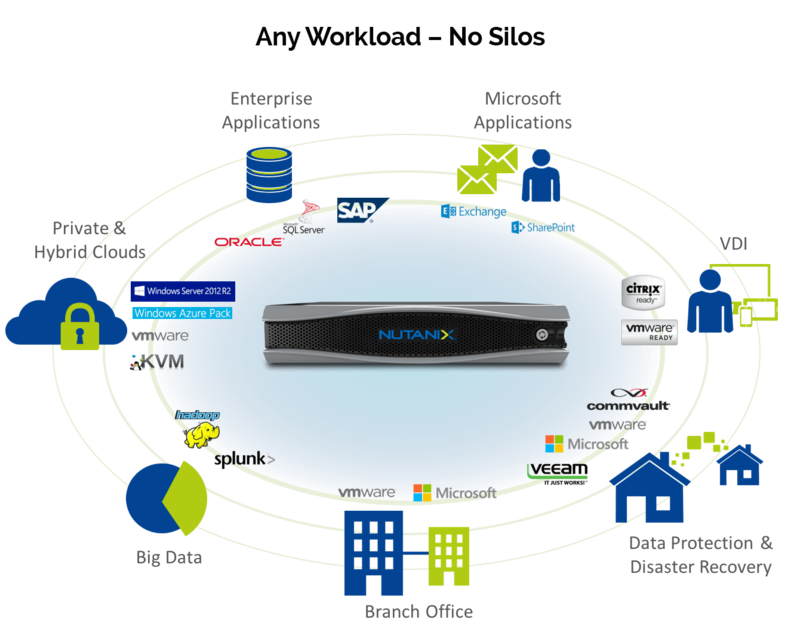 Nutanix easily scales with your business, on a shared-nothing architecture with no single point of failure, and data and meta-data redundancy. Lower Costs: 40-60% reduction in overall CapEx and OpEx. Limitless Scalability: Scale infrastructure predictably and linearly, with no limits. Fastest Time-to-Value: 8x faster time to value in buying, deploying and managing. Smallest Footprint: Up to 90% reduction in power, cooling and space, with a 2U form factor. Time for IT Innovation: Free up IT resources to focus on important initiatives and innovation. Figures backed up by independent research from the International Data Corporation. Nutanix Enterprise Cloud delivers one-click simplicity in managing multi-cloud deployments. Application mobility can be achieved across clouds while remaining open to any hardware, hypervisor or cloud. Hyperconverged infrastructure streamlines the deployment, management and scaling of datacentre resources by combining x86-based server and storage resources with intelligent software in a turnkey software-defined solution. Most modern hyperconverged infrastructure solutions are 100% software-defined, with no dependency on propriety hardware. Hyperconvergence should not be viewed as the end objective, but as a foundation for building out an Enterprise Cloud. As a starting point, HCI enables IT to scale incrementally to precisely meet application demands. Taking it on a step further, Enterprise Cloud affords IT the security and control to manage infrastructure with confidence. Is it time you moved your datacentre to the Enterprise Cloud?